Ringing the bell invokes divinity. 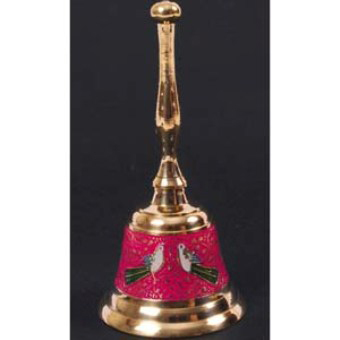 Pure Brass is an ideal material for bells as the sound it produces is very pleasant to hear as well as vibrant, energizing the atmosphere. Indian Home Decor in USA ! Art of Living The Indian Way !